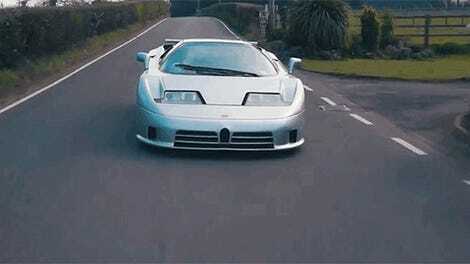 The Bugatti of the early ‘90s was a very different Bugatti than it is now. It wasn’t owned by Volkswagen Group, it was owned by an Italian billionaire named Romano Artioli. Artioli wanted Bugatti to make a badass car that would stomp on Ferrari and Lamborghini. He hired some ex-Lamborghini engineers and designers, who produced the EB110 in 1991. 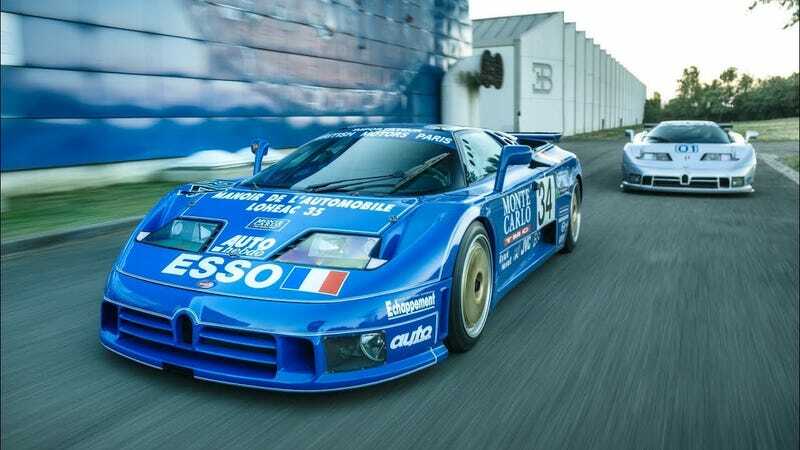 Named after Ettore Bugatti, the company founder and who would have been 110 that year, the EB110 was ahead of its time with a 3.5-liter, quad-turbo V12 with between 560 and 592 horsepower and all-wheel drive. It had aluminum body panels mounted to a carbon fiber monocoque. It could hit 60 from a stop in the low three-second range. To make the EB110 race-ready for the 24 Hours of Le Mans and Daytona, the Bugatti team worked tirelessly to cut weight from the road car and redesigned the body for improved cooling. This nearly 40-minute documentary by Davide Cironi Drive Experience explores the path that Bugatti took to make its two cars ready for the 24 Hours of Le Mans and the 24 Hours of Daytona. It include interviews and incredible anecdotes with the people who were there, like test driver and developer, Loris Bicocchi, technician Vittorio Filippini and Romano Artioli, the ex-Bugatti chairman himself. Plus, lots of vintage ‘90s racing footage. The documentary is all in Italian, so if you don’t speak it, you can watch with the subtitles on. It’s worth it.